Congratulations on your new Sime Darby home! What's included in your Move-In Package? 9 Man-Hours of Professional Cleaning. 3 cleaners will be sent for 3 hours at no cost. 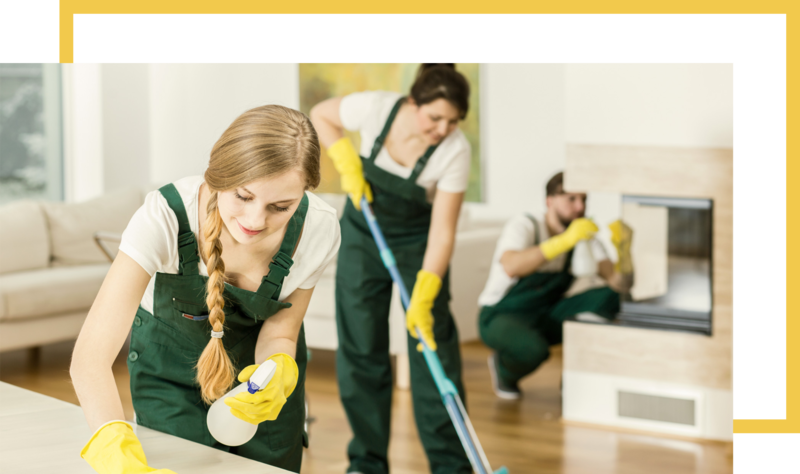 You'll have an option to extend the cleaning session for an additional fee. Every additional man hour will be charged at RM35. (e.g., extending the team by 1 hour = 3 X RM35). Cost includes all general cleaning supplies. Cleaning must be booked with at least 3 days advance notice. 1 Moving Trip with a 5 Tonne Lorry. Moving team will be comprise of a minimum of 3 helpers. Each trip must originate and end in the Klang Valley. For jobs that will need more than 1 trip, additional charges will apply. Our experts will advise. Additional charges: Boxes can be purchased at RM15 per box. Protective wrapping for large items will be provided at RM25 per item. Moving from/to houses larger than 3 stories, with no elevator, will be charged an additional RM100 per floor. Complimentary furniture disassembly of 1 queen/king bed & 1 wooden closet. Additional furniture assembly will be charged at RM50 per item. Moving must be booked with at least 3 days advance notice. Our experts are ready to help. Click to book. Book today to have an exceptional move-in experience with ServisHero.